This poster looks very much like the offerings for the previous six Episodes, making The Force Awakens feel even more directly connected to the saga. It gives you a look at characters new and old (Luke Skywalker is still noticeably absent), the military might of both the Resistance and the First Order, and even Starkiller Base, a former ice planet transformed into a massive weapon — as far as that last bit goes, am I the only one who thinks it’s odd that it is on the “good” side of the poster? It could be just a matter of graphic design, but the conspiracy theorist in me is curious. And while the full trailer doesn’t debut until halftime of Monday Night Football tonight, there are these three snippets of footage to keep you occupied in the meantime. You see new additions Rey (Daisy Ridley), Finn (John Boyega), and Poe Dameron (Oscar Isaac), and not much else, but with that haunting score, this still sends shivers up my spine. 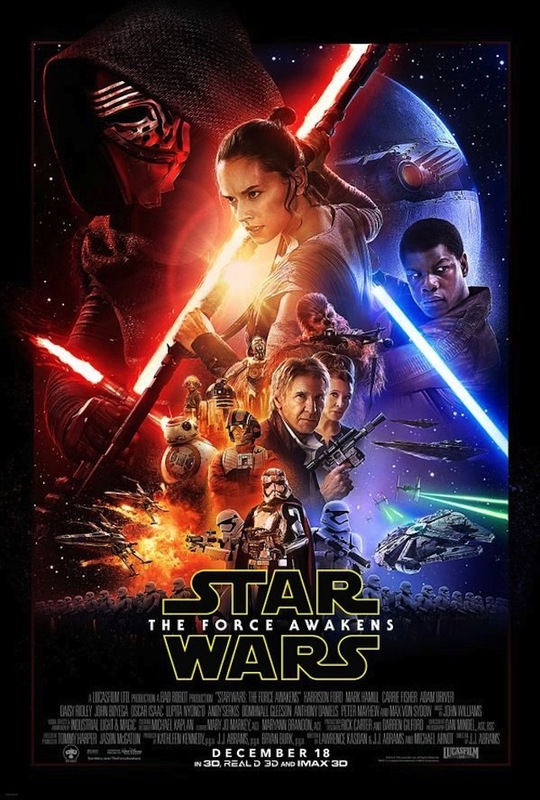 Star Wars: The Force Awakens opens everywhere December 18. Check out the clips below.